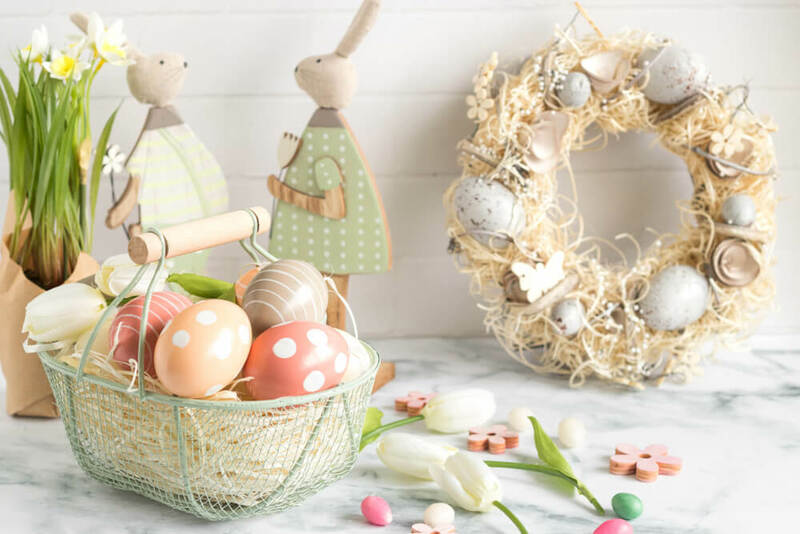 In fact, you can turn ordinary eggs into works of art, create amazingly stunning wreaths and vibrant candleholders, use milk jars to create Easter-designed vases and purchase gorgeous wall decals. 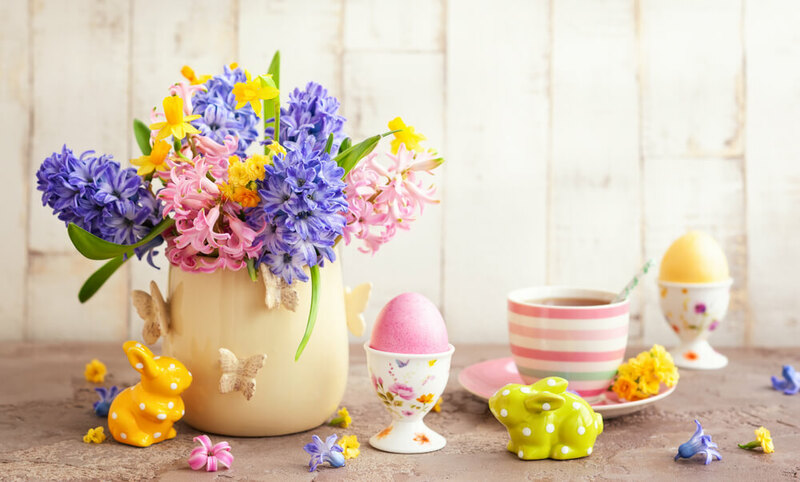 The only limit to your home turning into the Easter/Springtime celebration is your imagination. 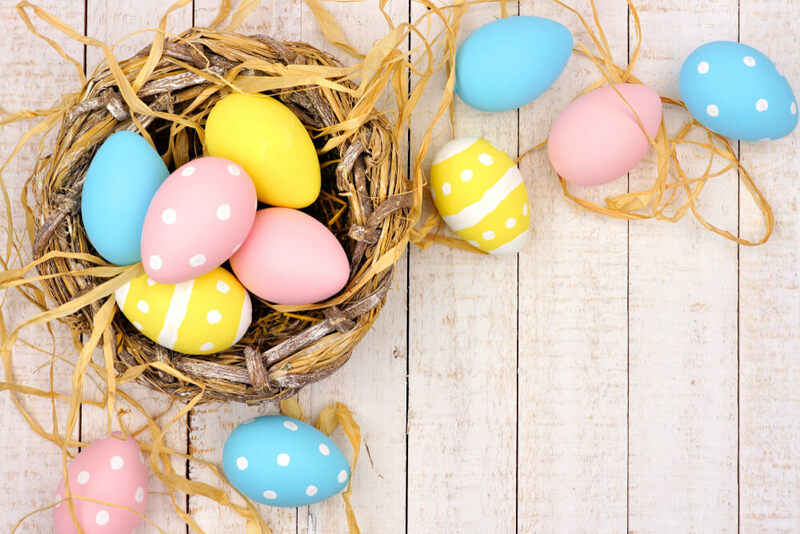 So, what kinds of things can you do to bring more life to your home during the Easter break and entice friends and family to visit you? Many people celebrate the Easter holiday with some type of meal with their family around. Decorate your table with a floral centerpiece using a milk jar to act as a glass vase. Or, paint some pots in Easter designs (rabbits, Peeps and eggs) to pizzazz up the room. If you’re not big into the flowers but still want to spruce up the table with a cute centerpiece, you can create a tabletop wreath out of egg cartons. All you have to is cut the egg cups out, painting them white (or whatever color you feel you must give the room). Arrange them to how you see fit and fill them up with candy, eggs and flowers. The choice is yours. One of the most common Thanksgiving and Christmas holidays decoration is the wreath, and you can absolutely create one for the Easter holiday. There are plenty of wreath designs that you can make – again; your imagination is the limit. For example, you can create a golden wreath using golden plastic eggs, yarn and embroidery hoop or the monotone yet chic egg wreath to bring out your front door. Your tables and doors are not the only things that need to get in on the action for Easter decorations. 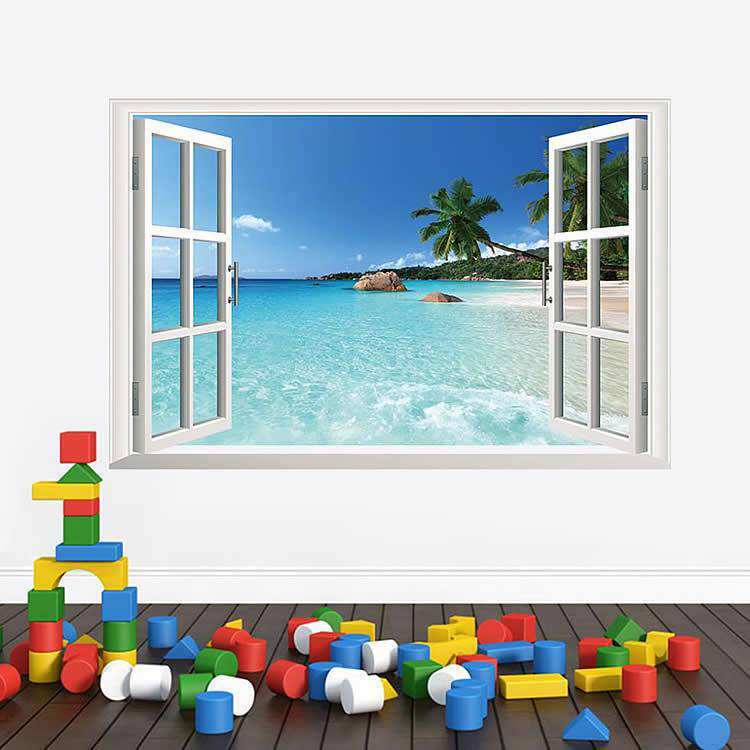 Your bare walls (or those with family pictures) could also be livened up. Why not put the Easter bunny on the wall? Put eggs hidden in grass on the wall. Some colorful springtime flowers are sure to bring color to white walls and accentuate the rest of the interior décor nicely. 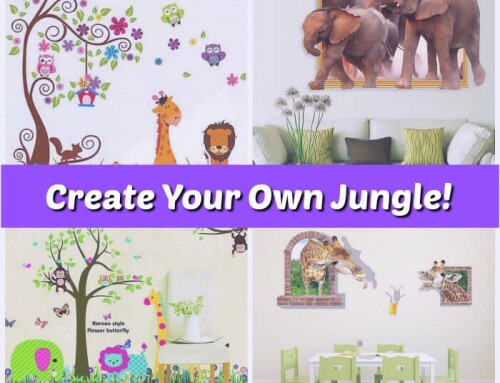 You can get all kinds of design ideas through https://walldecals.ie/. Candy is one of the most looked forward to foods for Easter. Now, you don’t have to eat it; you can also decorate with it. For example, take a 12-inch Styrofoam wreath, start with the inside circumference and hot glue colored candy almonds onto it. You can overlap them to give it some dimension. Going in a circular motion, cover the whole wreath. You’ll need a piece of cotton ribbon or trim to hang it onto the wall. You can also create a bunny Peeps wreath, using different color Peeps, toothpicks and Styrofoam wreath. Dry the Peeps out for a couple of days and use the toothpicks to hold them in place. Decorate the wreath as you like. And, even though both are made of candy, stored correctly, you can use it for the next couple of years. Make sure to store it flat in a box, keeping it cool and dry. Your leftover dyed eyes – the shells anyway – can be decorated to become candleholders. All you have to do is dry and blow them out. Take some crayons and chop them up. Fill Dixie cups up with soy wax flakes and crayon pieces, microwaving both until they are completely melted. Add in any essential oils you want. Place the wick into the wax, making sure it comes from the bottom of the shell to the top, so it stays in place. All the wax to completely dry before moving forward. 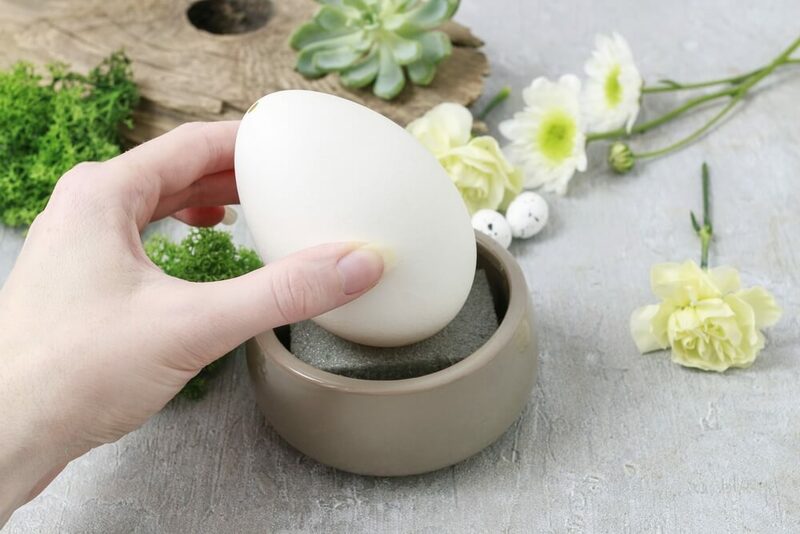 Ensure that the wax is much cooler than it initially was so you can pour it inside the egg. If it runs out the bottom, allow it to cool before doing anything else. The end result will be amazing, colorful candles. Rather than using traditional place cards that let people know where they’ll be sitting, consider personalizing eggs with their initials on them. It’s an easy-to-do craft that can be completed within 15 minutes. All you need is some tan acrylic paint on farm eggs you haven’t died. When it’s dried, handwrite the guests’ initials using a gold or silver paint pen. Your children will get a kick out of this little decoration (so will you). All you need is a sock, felt, rice and other decorations to create a bunny. Just fill the sock with rice, using rubber bands to create the head and neck. Use a felt colour different from the sock and tie it around the head (to create a belly). Glue on teeth, eyes, nose and pom-pom (for its tail) to give the sock a bunny look. If you create several of these, you can set them up all around the house. Many kids love to put together a gingerbread house (train or sleigh) at Christmastime. But, who said this activity has to be done only at Christmas? Create a Peep house out of Peeps, graham crackers, frosting and Easter décor to enjoy. Best of all, if you don’t want to eat it, you don’t have to. You’ll need three graham crackers that you break into six halves, “gluing” them together to create the house (the glue is the icing). Allow it to dry before adding in the decorations. Be sure you include a Peep into the house, so it’s a real Peep house. The great thing about this decoration is that it’s so simple to make. You just need bud vases, food coloring, water and flowers. If you go with white flowers, the water becomes absorbed, and the flowers will turn the colors of the water. Create the colors you want by adding more food coloring or water. You can place these all around a room or on your dining (or kitchen) room table. Wherever you decide to put them, they’ll bring the rainbow inside the house. The great thing about every one of these ideas is that they can be done with very little money and time. 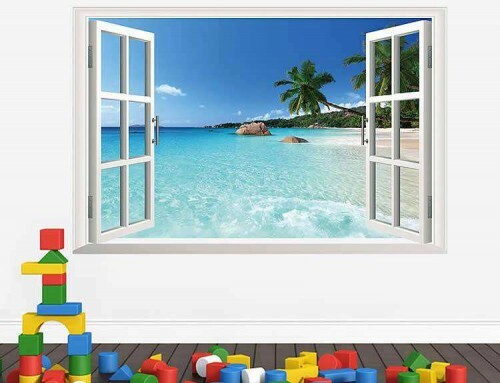 All you need to is think outside the box and let your imagination soar. If you need decorations for your Easter get-together, each idea will work just fine. 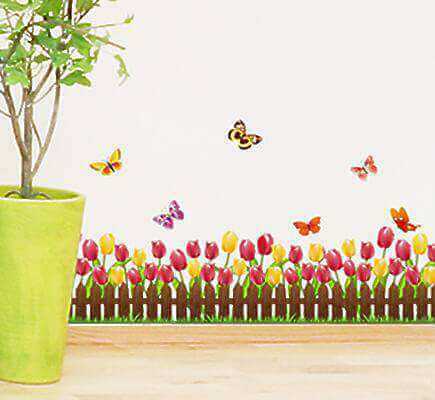 Don’t let bare walls stop you from getting into the Easter spirit. Use wall decals to light the room up. Change the design of your door by adding in a wreath that is sure to get the neighborhood talking. Bring more to the table with a centerpiece of epic proportions. 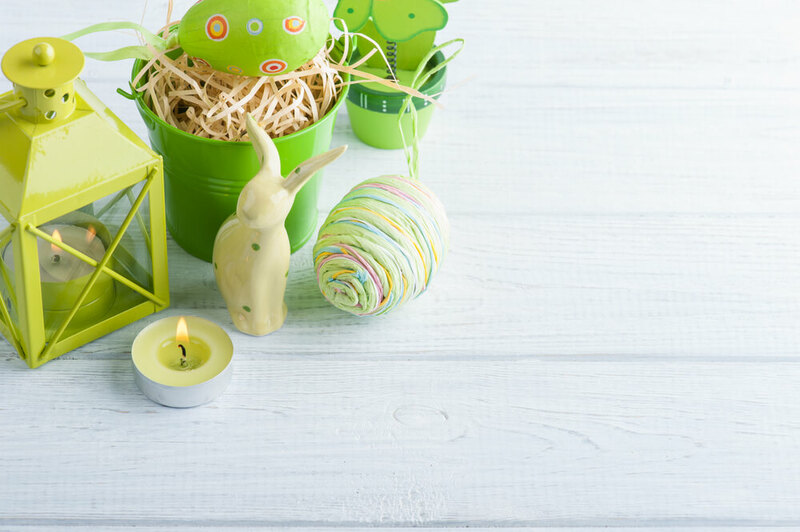 Have fun decorating your home for Easter today! 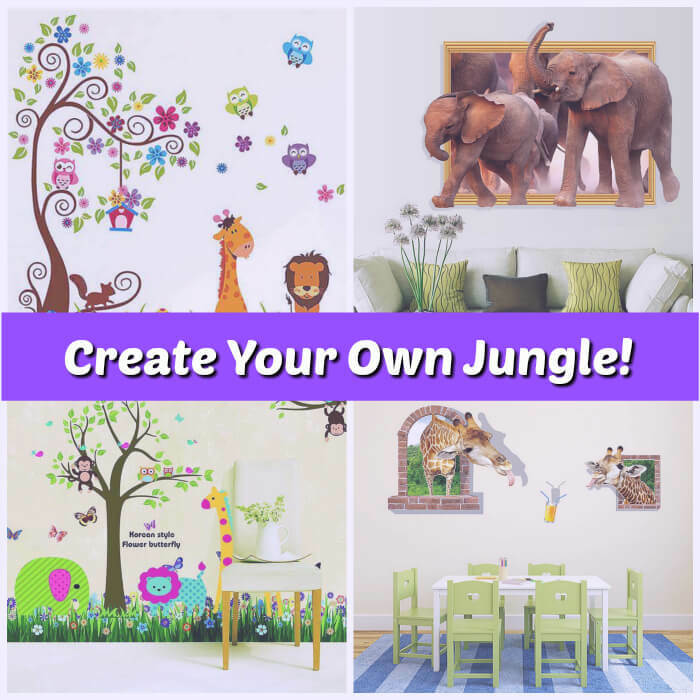 Summer Activities: Create Your Own Jungle!